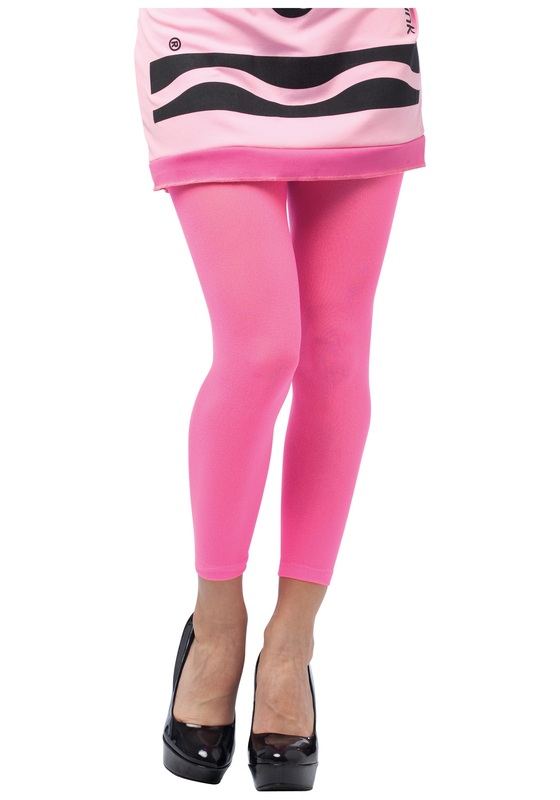 If you want to dress up as the coolest crayon ever this year then, first you need to plan on being the pink crayon... that’s a no brainer, and second, you'll need to grab a pair of the Tickle me Pink Crayon Footless Tights! For those of you who don't know 'tickle me pink' is an actual shade of pink that has been available from Crayola since 1993! And still today it proves to be one of the most loved red hues on the market! So if you're lovable (and we're sure you are!) then let your true colors show this Halloween and slip on these bright tights to complete your Tickle Me Pink Crayon costume! Even after the holiday is over you can still throw on these tights to compliment your outfit before you head to a concert or a club or just another fun party!